We have in store for our clients, Roots Air Blowers that are appreciated for their exceptional quality and durability by our patrons. 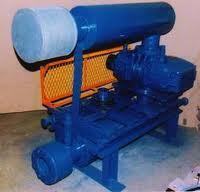 In addition to that, we offer vacuum pumps, positive displacement blowers and vacuum packages. Our expertise enables us to offer air blower services such as roots blowers’ service and roots blower repair. We have established ourselves as an eminent manufacturer, exporter and supplier of a wide assortment of well engineered products such as Industrial Roots Air Blower, Twin Lobe Water Cooled Compressors, Compact Unit Blower Machine, Twin Lobe Air Blower, Industrial Roots Pump, Roots Air Compressor, Process Gas Roots Blower, Truck Mounted Roots Blower, Industrial Twin Lobe Blower, Neutral (Inert) Roots Blower, Cement Feeding System, Cement Feeding Machine, Cement Feeding Pump, Water Ring Vacuum Pump, Watering Vacuum Pump Spare, Vacuum Boosters, Roots Blower Parts, Air Blower Machine Parts. We emphasise very much on quality & innovation & this is why we constantly innovates on its products to come up with a new and improved range every time. Cutting edge technology and innovative design skills helps us to serve our clients efficiently. Prompt and effective after sales service is our topmost agenda. In India, we are targeting especially the South Indian Market.